And get unlimited access to this gym and 1699 others. At some points throughout the day this gym may be unmanned. If you are unsure of how to use any item of fitness equipment during these times please contact reception who will advise you when the next person will be available to answer any questions you may have. Do not use any fitness equipment if you are unable to operate it safely. 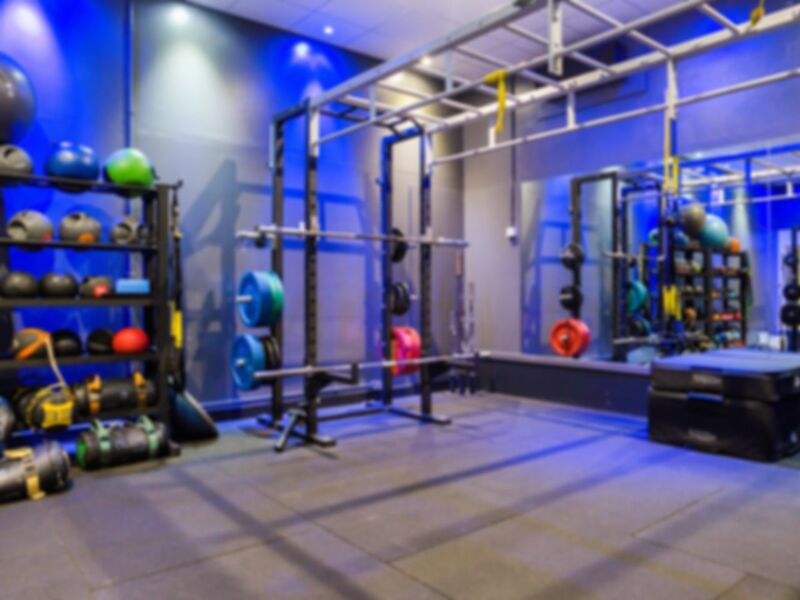 It's been a few months in the making, but Sandown Sports Club has finished completion on its first Functional Fitness Studio, fully appointed with the latest top quality equipment, and staffed with friendly and knowledgeable instructors. Liz Witham, Daniel Harris and the rest of the team will use their extensive knowledge, gained whilst running the highly successful club to create a fitness experience that can offer sound advice along with functional equipment, helping clients of all ages to improve their fitness and general wellbeing, putting the fun back into functional fitness. Sandown Functional Fitness Studio will encourage all fitness levels, from nervous and new clients to established athletes. The fitness suite offers comprehensive free weight, resistance machine, and cardiovascular areas. The cardiovascular area includes Bikes (normal and recumbent), Concept II Rowing machines, Stairmasters, Versaclimbers, Treadmills, full and lower body Cross Trainers, full body arc trainers and Arm Ergometers some with their own cardio theatre. The free weights section hosts dumbbells up to 50kg and a range of Olympic weights, bars and benches. If you are looking for one to one training they also have personal trainers that may be able to help you. Each is fully qualified and very experienced in the industry. Details can be found at reception for the trainers that they recommend. Pre booking would be essential. This gym is located within the grounds of Sandown Race Course in Esher. The Sandown Sports Club is 15 minutes walk from Esher station (National Rail) however arrival by road is recommended as they also boast a car park which is free to payasUgym users. Please note access is not from the main racecourse entrance. Good gym, new equipment and quiet which is what I like! Great Squash court, seemed to start getting busy around 5pm so may need to book. the gym was always very empty and so easy to swap and use equipment with no hassle. however, i was often left waiting to use my pass at the entrance before being allowed in. Tiny gym with very little equipment. Shabby changing rooms with no lockers unless you request one. Difficult to access as a pedestrian as I had to enter through the poorly lit car park without any pavements. Might be fine if you go to use the other facilities but otherwise don't waste your time! nice new gym, bit pricey by comparison of what else is around. Friendly staff, went on a weekend and wasn’t too busy. Small but modern.